Despite the size of the Indian scooter market, the manufacturers have shown a remarkably consistent and extraordinarily conservative approach to scooters. What we have, despite being over 30 per cent of the Indian market is a seat of fairly simple scooters that all circle the same block. A block that the Honda Activa created years ago. 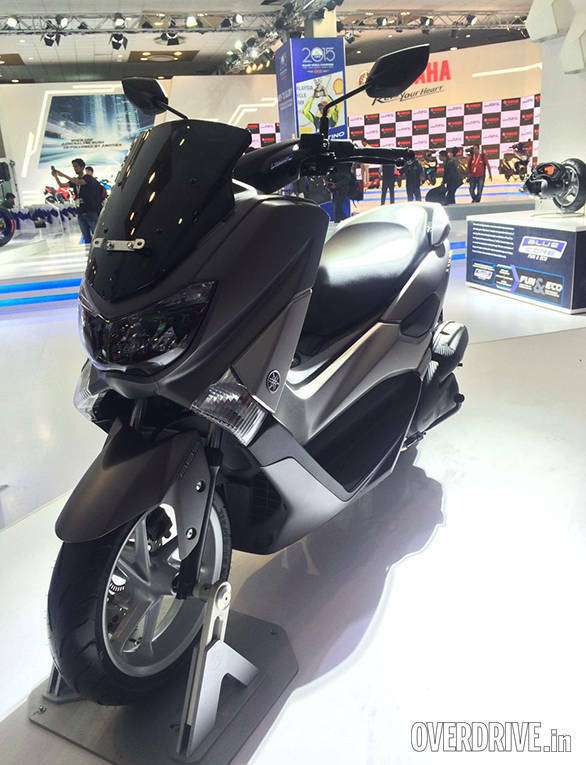 Now, finally, the first sign of product evolution into scooter niches are evident at the 2016 Auto Expo. We start with the Aprilia SR150 because it isn't a concept and it has a confirmed launch date - August 2016. The Aprilia SR150 introduces the Italian performance brand to the scooter market. 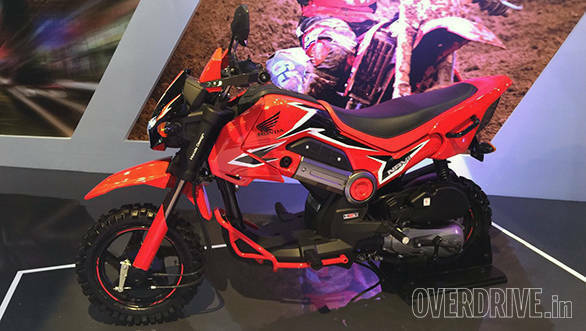 The SR150 is going to be made in India. Piaggio officials told us that while the basic scooter is pretty much the same as the European spec scooter, there are small changes - like the fold down pillion pegs instead of the moulded ones on the European SR. The engine is shared with the Vespa 150 but has been retuned. Piaggio did not reveal power figures but the gearing is different from the Vespa and peak power - our estimate - should be in the 12PS region. This scooter will be manufactured in Baramati for Indian sale. The 14-inch wheeled scooter is a path breaker because we've had the claim of the sports scooter before. But the Aprilia SR150 is the real deal. It wears 14-inch tyres, skimpy bodywork and a deeply European ethos. The Aprilia will be priced at a premium to be sure - we are guessing just over the Rs 1 lakh mark but it's a genuine sports scooter in a sea of hopped of commuters. Three maxi-scooters showed up at the Auto Expo. The Yamaha NMAX is the smallest one, a 150cc scooter. A maxi-scooter usually boasts an swoopy-sporty form, high-end equipment, a feed-forward riding position with a non-flat floorboard. This usually comes with exceptional under seat storage at the cost of a floorboard that isn't good for shopping bags. The NMAX is a scooter that Yamaha isn't sure about Indian production but feels that the Auto Expo crowds will help them judge responses towards production. Yamaha understands that some localisation and cost optimisations are needed but the NMAX is a clear sign that the basic scooter now needs something more aspirational on top. The next bigger maxi scooter was the TVS Entorq 210, which uses a mish-mash of the powertrain from the Daz scoobek (for the 14-inch wheels and back of the powertrain) mated to a version of the engine from the RTR. This is a complete hack for the show and not to be taken as the way TVS intends to create the Entorq - that's just the underpinning. The engine is placed in a new frame and wrapped in clean but not very sporty lines as an appealing maxi scooter. Once gain, TVS officials said that they were exploring the idea of the evolved scooter. Finally, Suzuki had the Burgman 650 on the booth. It has been working on a CBU plan for the scooter though nothing is confirmed. The Honda Navi technically isn't a scooter but it's sort of a cheeky halfway house between a scooter and a motorcycle. Given its price and bug-eyed appeal, there's been quite a lot of buzz today about the wee Honda. 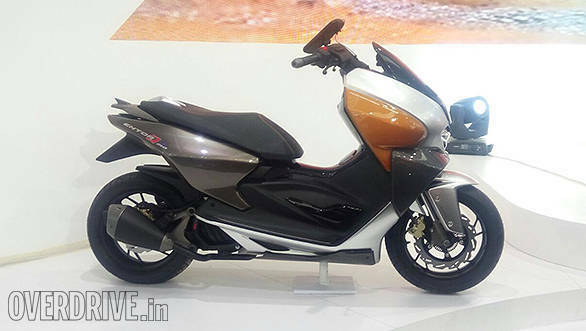 Once again, the Navi cannot pull customers away from the Activa, but it aims for scooter customers looking for something quirky-cool. The Navi, of course, sits at the other end of the spectrum compared to the maxi scooters above.